Japan’s most popular cheesetarts have flown to Malaysia and we’re so excited to get our hands on ‘em! Their bestseller is the amazingly humongous freshly-baked cheese tart! Look at how gigantic that is – just enough for my belly! 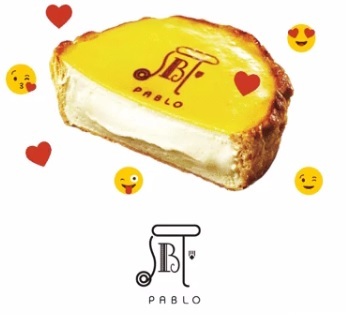 Pablo’s delicacies range from cheese milkshakes, cheese soft serve icecream, crème brulee and mini cheesetarts. Cheese all day, errday! These cheesetarts got us feeling real hungry rn!